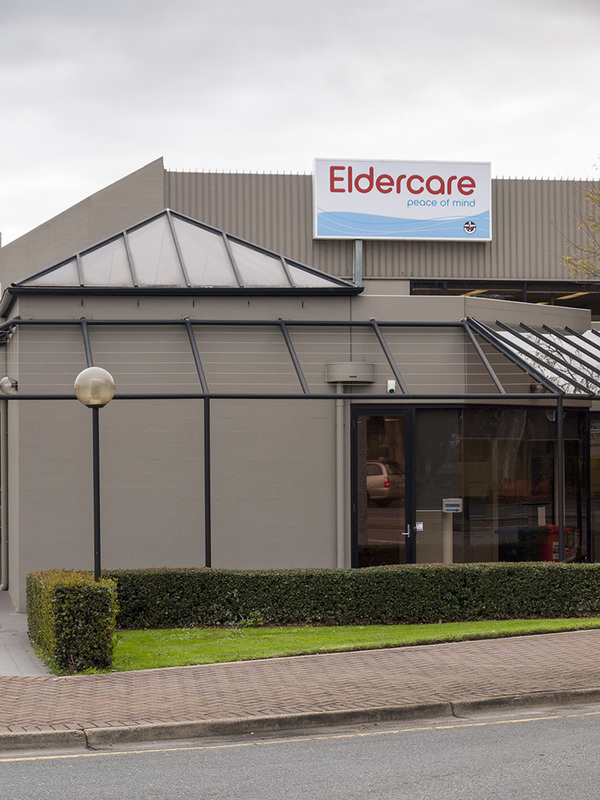 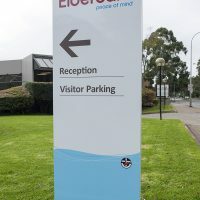 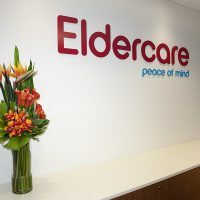 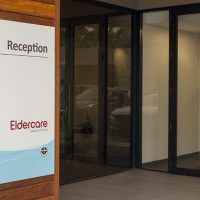 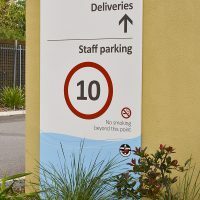 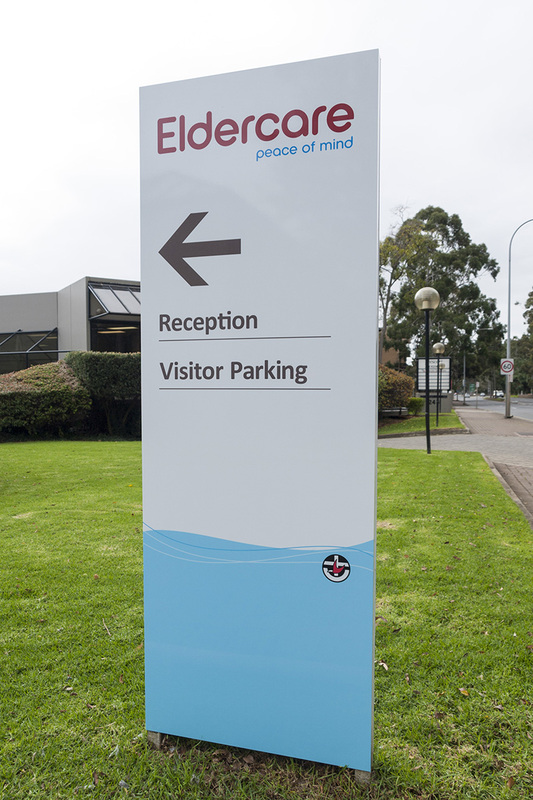 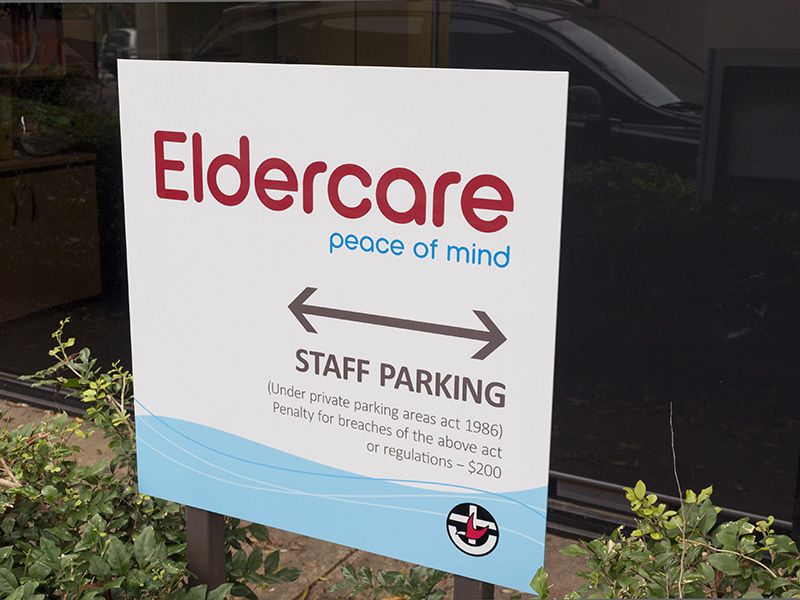 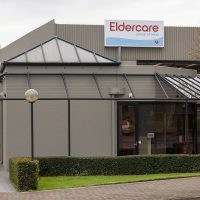 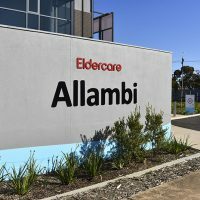 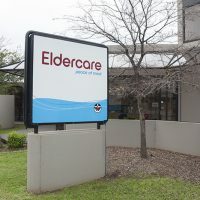 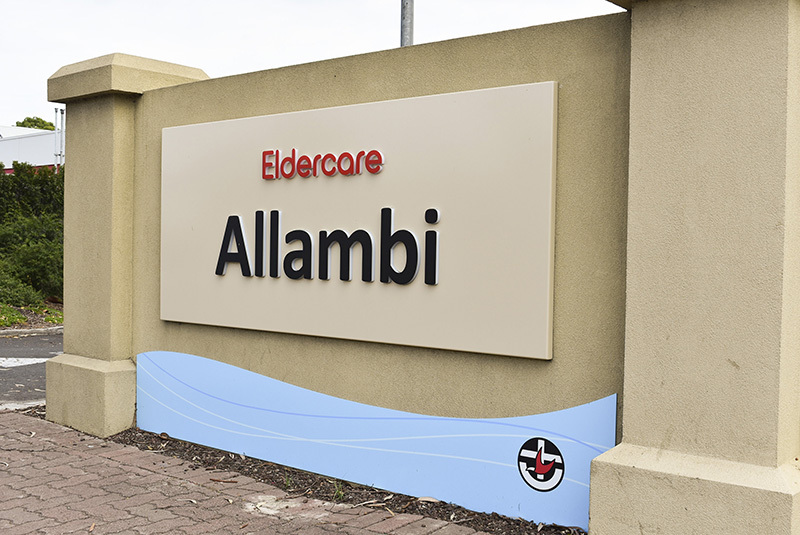 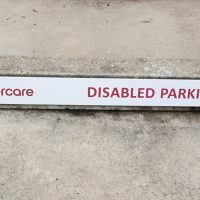 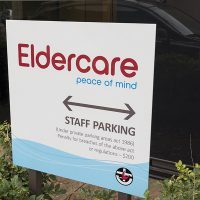 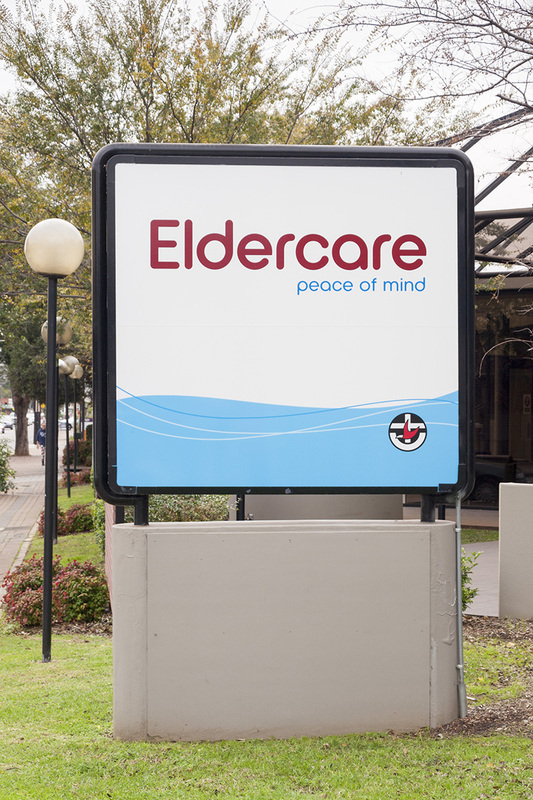 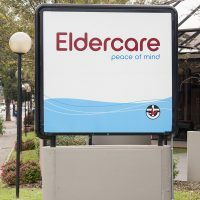 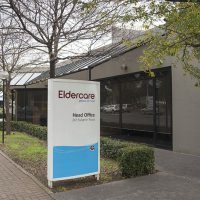 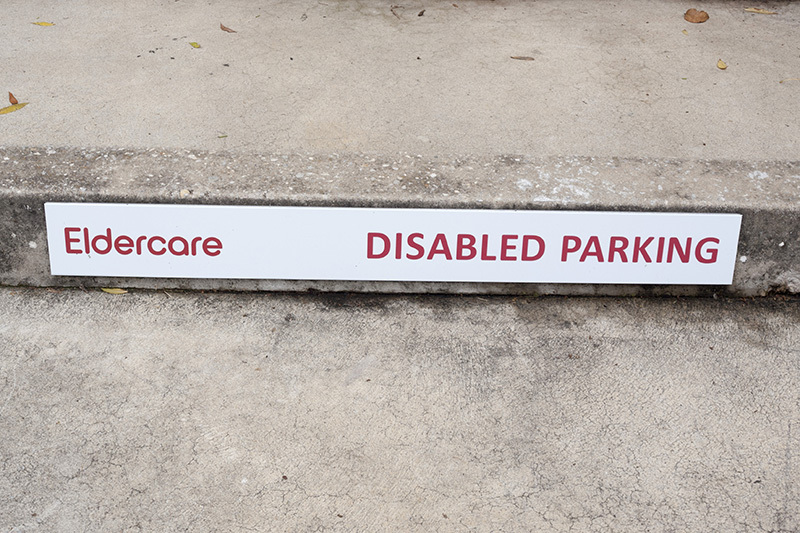 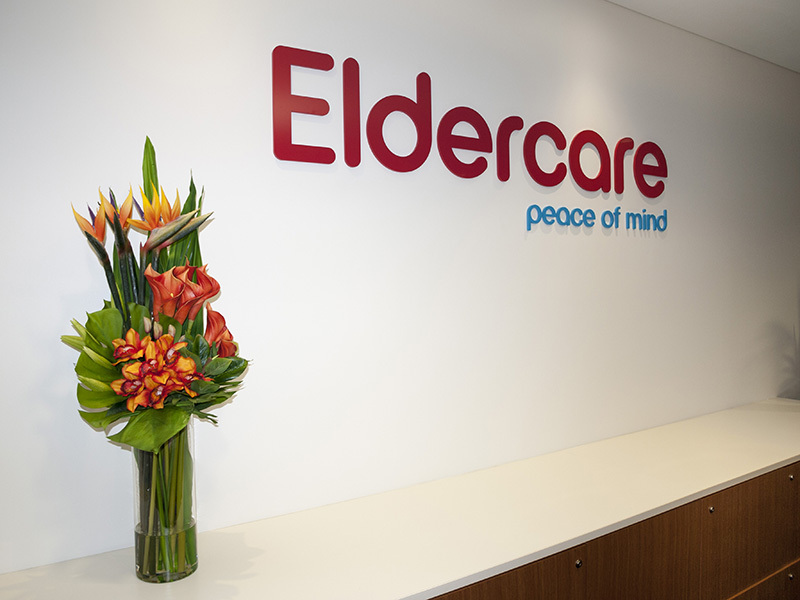 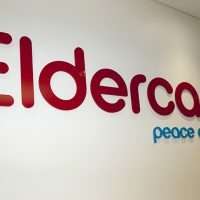 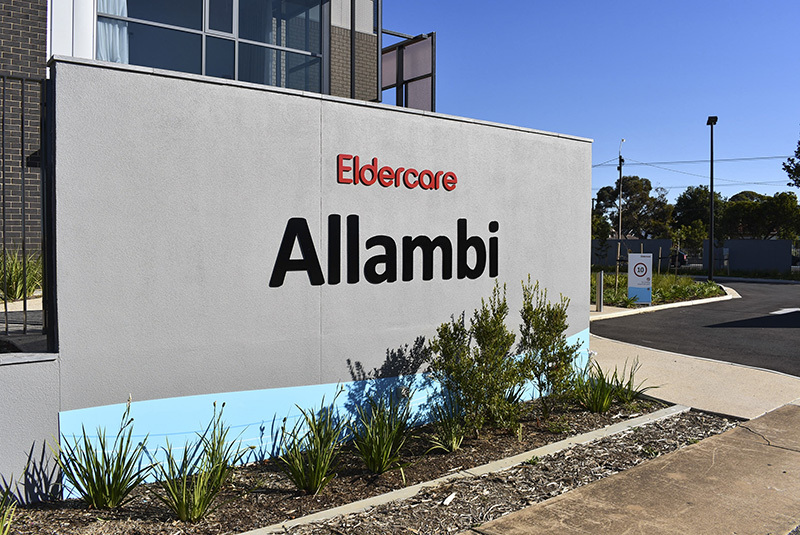 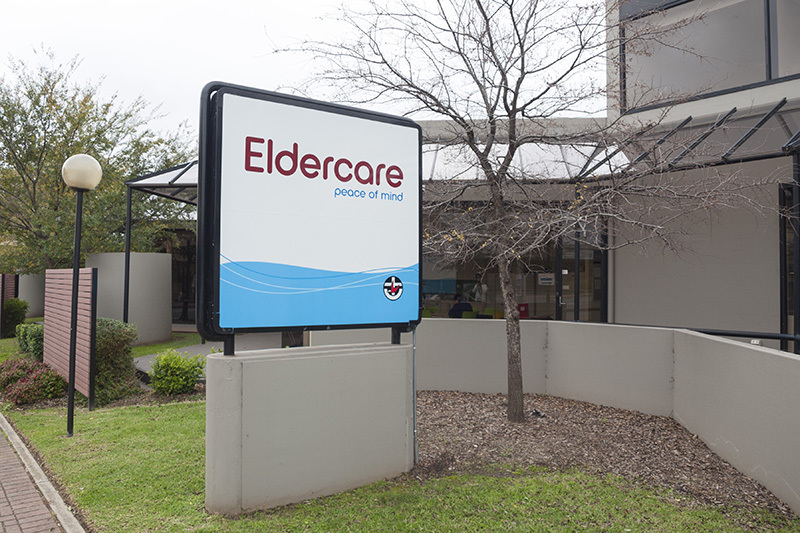 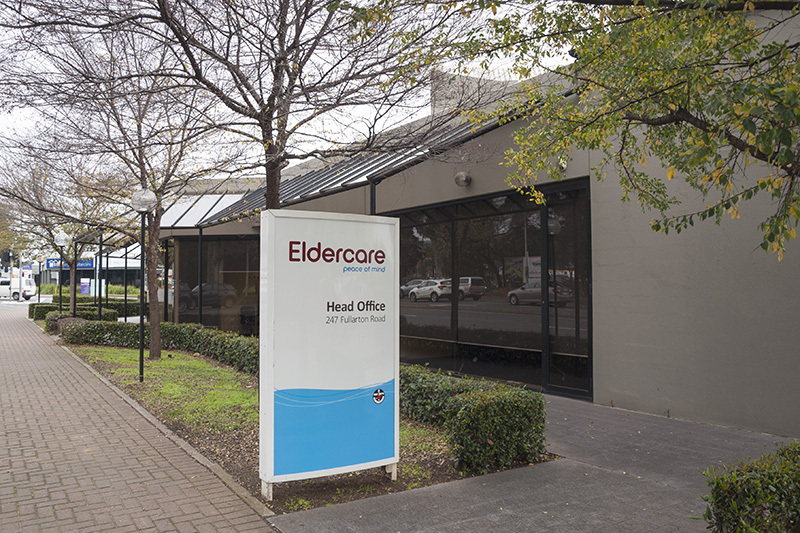 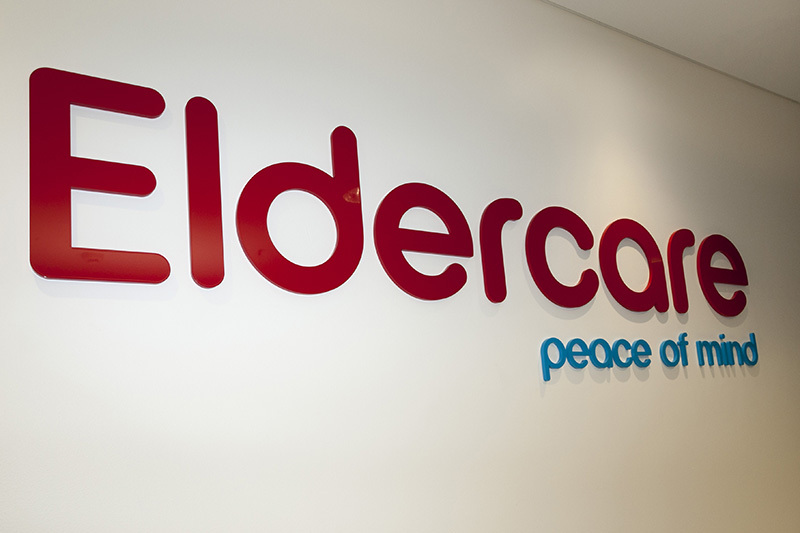 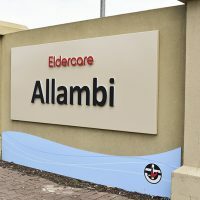 Specification: To deliver a statewide roll out of Eldercare’s new branding across identity, wayfinding, reception and vehicle signage. 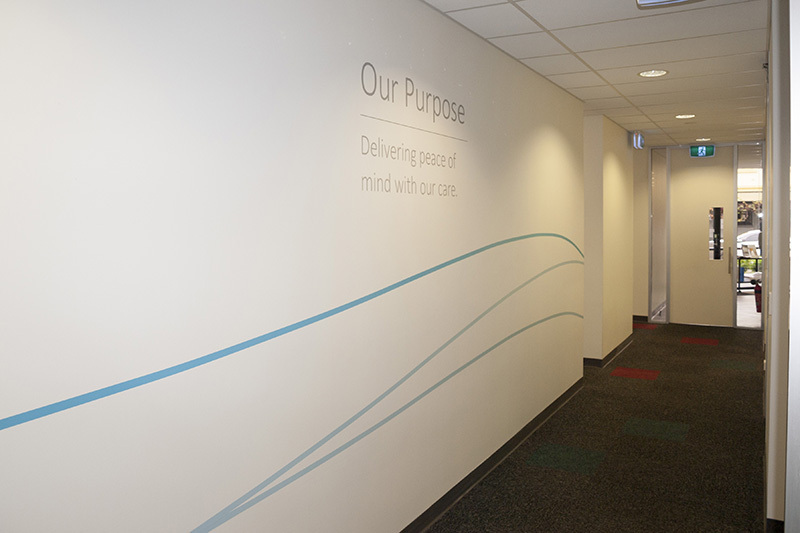 Wall signs were fabricated with folded aluminium panels and include 2pac painted acrylic laser cut letters. 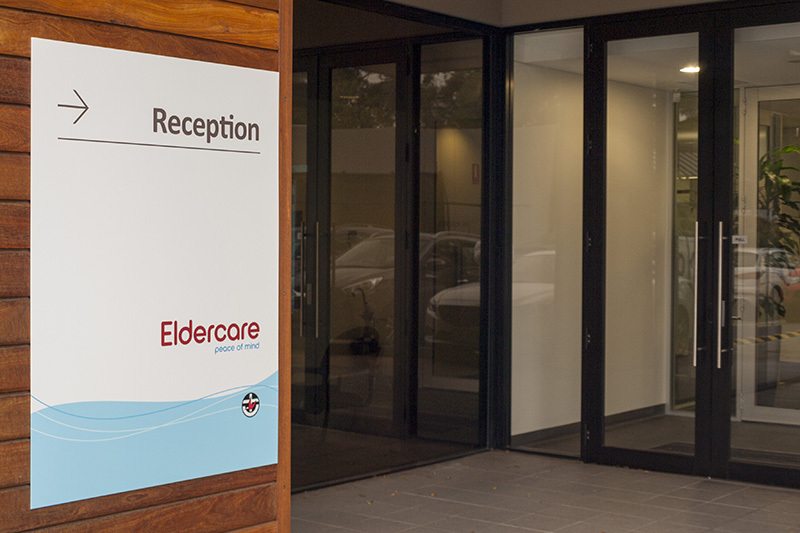 Existing light boxes had new printed graphics on translucent vinyl applied. 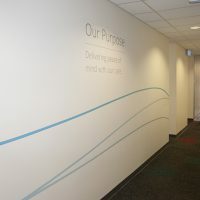 Reception signage includes 2pac painted acrylic laser cut letters with mission statement. 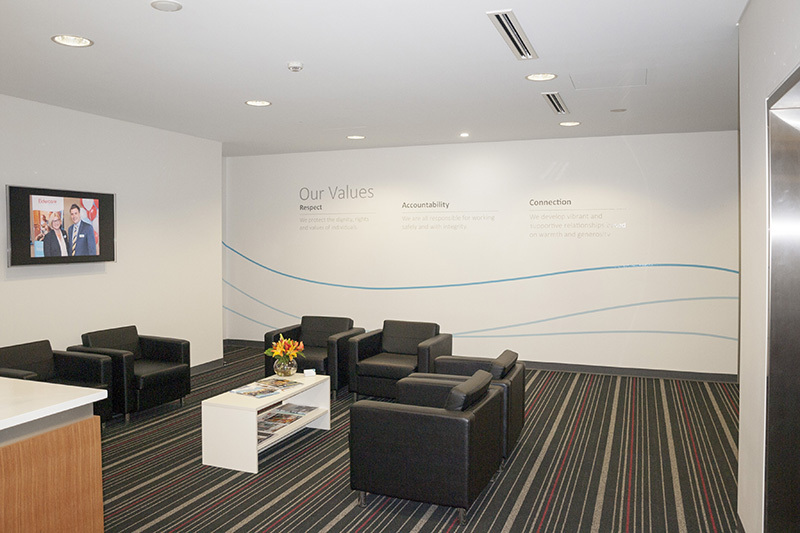 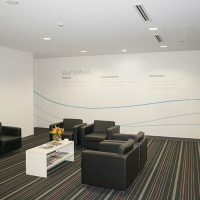 Wall graphic murals applied in vinyl. 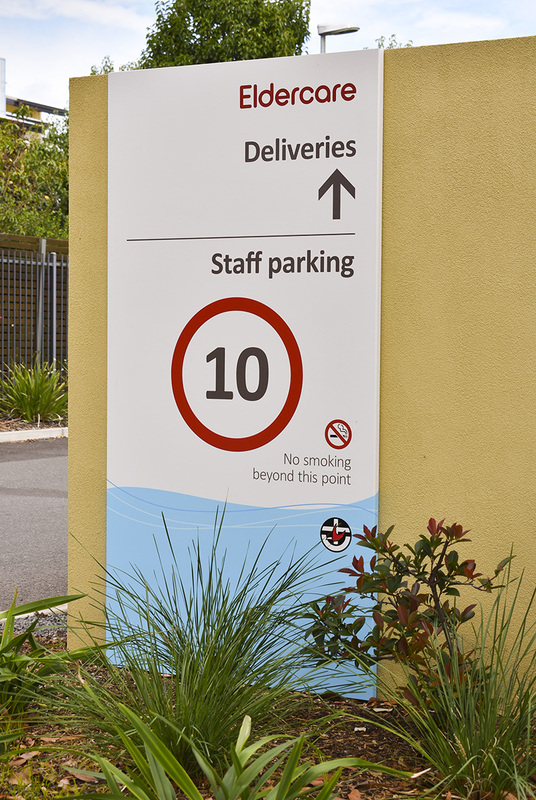 Free standing wayfinding pylons were fabricated from aluminium and 2pac painted.